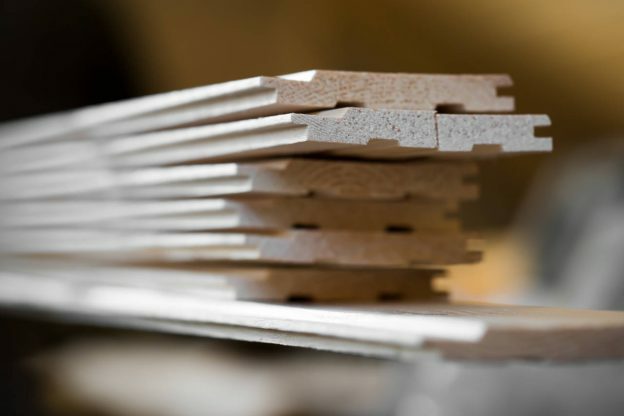 You might see terms like linear foot and square foot used for construction materials like hardwood flooring or other types of lumber. Prices might be quoted by the square foot or linear foot, and it’s important to consider that these are very different forms of measurement. Linear footage is a measurement of length or distance of material, while square footage is a measurement of the area of a space. These are different because linear footage measures the length of a line and the square footage of an area is a measure of a two-dimensional space. Some products like flooring and lumber are sold by the linear foot measurement, since they are sold by length, rather than length and width. For example, a roll of vinyl flooring might be 12 feet wide, and you can’t purchase an arbitrary number of square feet from the middle of the roll, you need to buy a certain length of the roll, and you get the full 12′ width for as many feet in length that are purchased. 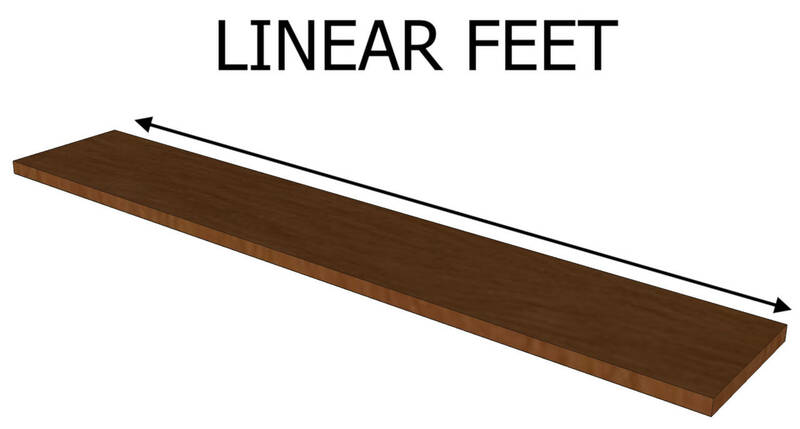 Since linear feet measure the distance of a line, calculating linear feet can be as simple as measuring that distance. For example, to measure the linear feet of trim needed for a single wall, measure the wall from one end to the other. Learn more tips for measuring linear feet. Measuring square feet is a little bit different because it’s a measure of area. To measure the square footage of a room, measure the length of the room and then the width of the room, then multiply the two measurements together using a calculator. You can also use a specialized square footage calculator for this task. Can You Convert Square Feet to Linear Feet? It’s possible to convert between linear feet and square feet, but you need some additional measurements. Because we’re switching between the distance of a single line and an area measurement, we need to know the area of the line. For example, let’s say a lumberyard is selling flooring by the linear foot, but you only know the square foot of your space. Start by finding the width of the floor board, then multiply that by the linear foot of the board to find the area of the board. Then, divide the total square feet by the area of the board. Tools like our linear foot to square foot calculator make this process much easier. Plan ahead for your flooring project with our flooring installation resources. Learn how to install a laminate floor, including what tools and materials are needed and how to prepare for the project. Are You Planning a Flooring Project? Get hassle-free estimates from local flooring professionals and find out how much your project will cost. Estimate flooring needed for a room and calculate flooring material costs.